Combine 1 banana, 1 teaspoon of honey, and 1 teaspoon of Lemon Juice until well mixed. Spread on face in a generous layer and allow it to sit for 10 minutes. Then rinse and pat dry gently with a towel. No need to use face face wash after, you can moisturize as normal, but you may not feel the need for additional. This mixture really moisturizes and brightens your skin. Mix 1 banana and half an avocado together with 1 tablespoon of olive oil well (a blender or food processor will give you the best consistency). Comb through hair and let it sit for 30 minutes. Rinse clean and condition even more with an apple cider vinegar rinse. Repeat once a week for shine and moisture. 3. Dairy Free Ice Cream. 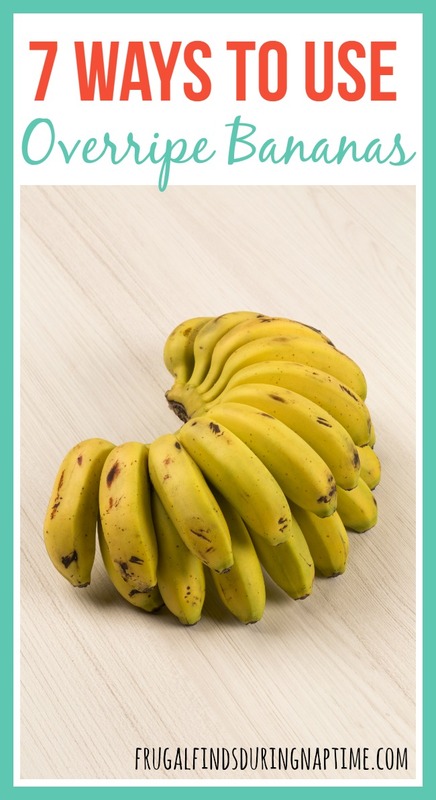 Freeze bananas in small portions in freezer safe bags, and then toss the frozen bananas into your blender or food processor with your favorite ingredients and a bit of sweetener like honey. Add chocolate chips, nuts, or strawberries. Pop back in the freezer to get an ice cream consistency without any dairy, or you can add a bit of your favorite milk to thin it out some. Mix frozen bananas, any type of milk-dairy, almond, coconut, and strawberries, melon, or other fruit up in the blender and create your own special recipe blend. You can make delicious and healthy 3 ingredient cookies using up fresh or frozen brown bananas. Combine 2 bananas, 1 cup of oats, and 1/2 cup of chocolate chips. Scoop onto baking sheet and bake at 350 degrees for 15 minutes or until golden brown. Before your banana reaches that inedible stage, you can mash one up into your regular oatmeal or in a jar of 1/2 cup oats, 1 cup of milk of your choice, and any mix-ins you would like. Allow it to sit overnight (in the fridge) and then pop it in the microwave to warm it up. If you really can’t find one of the uses above that thrills you, there is always the compost pile. If you don’t already have a compost pile, consider starting one. Compost piles allow you to create your own organic soil, reduce your kitchen waste, and lessen your carbon footprint simply by tossing rotting fruits, veggies, dead grass and weeds, and a few other items in a bin. Get more money saving tips delivered to your inbox, plus grab our FREE Stock Up Price List! Live Original, Be You, and Encourage Others!